Is there a celebration in your future? If you are engaged to be married, create a wedding registry at Bed Bath & Beyond and you’re on your way to filling your new home with the items you and your spouse-to-be really need and want: bath and bedding essentials, small kitchen appliances, dinner- and drinkware, cookware, furniture and more. Your family and friends can do a wedding registry search to find the perfect bridal shower and wedding gifts. Shop Bed Bath & Beyond for gifts for any special occasion: find a beautiful vase for a milestone anniversary, sheets and blankets for a new dorm room or a cool kitchen gadget for a housewarming party; a gift registry or gift wish list helps your guests give you exactly what you want. A gift registry also helps avoid the hassles of duplicate gifts. 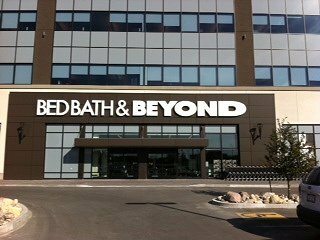 Because of its wide selection, trusted brands and excellent customer service, Bed Bath & Beyond has become an expert for home goods, which makes it the best place for your wedding registry or gift registry.